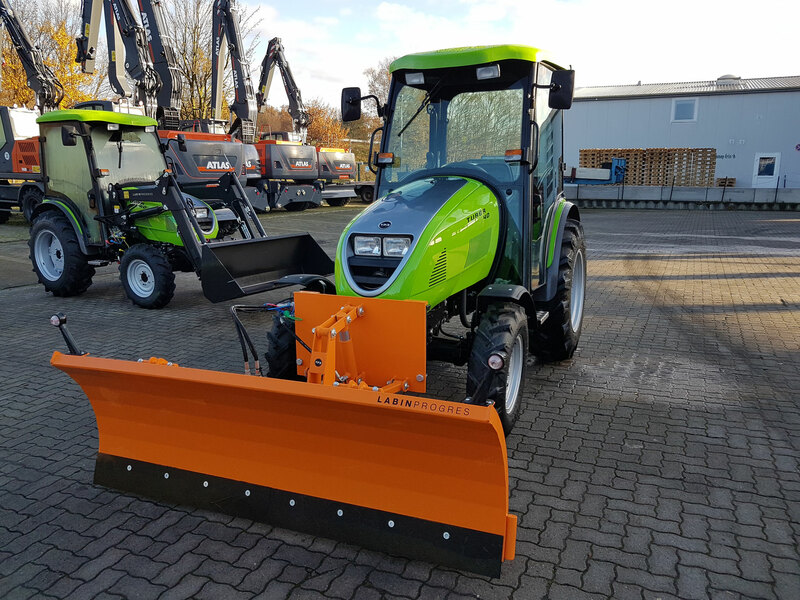 Snowplough is robust but agile, flexible and compact snowplough, which characteristics are an excellent choice for maintaining municipal and local roads by winter conditions. Snowplough is very suitable for maintaining family farms. Snowplough managing enables the hydraulic system, which standard comes with a tractor Tuber 40 and Tuber 50. 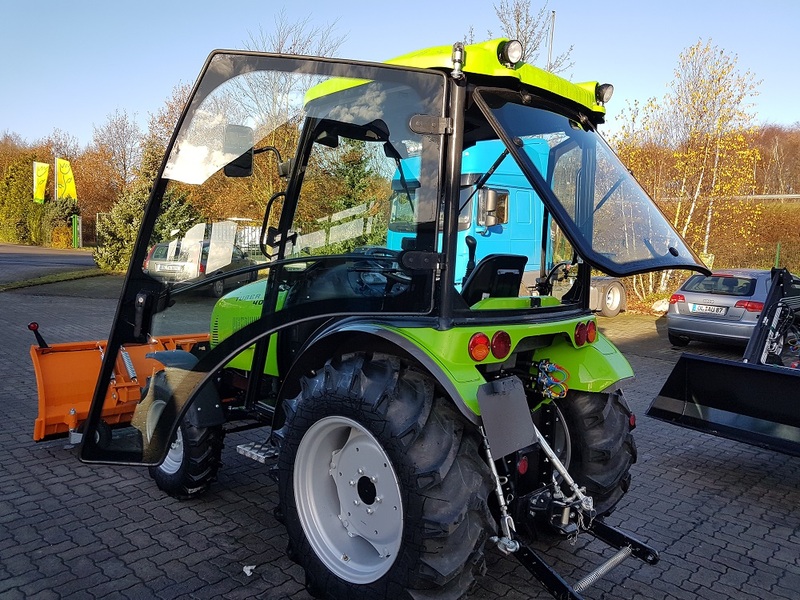 Optionally is provided is with hydraulic system, equipped with “joystick”. 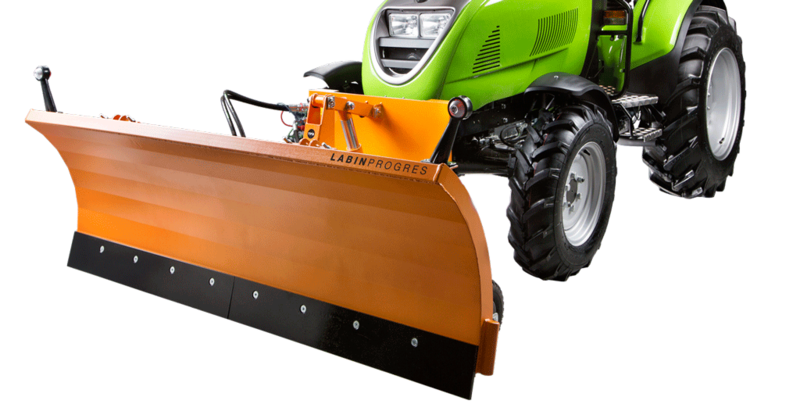 Snowplough width of 2 m and a height of 0.70 m is available with front mounting plate and front tractor hydraulic/ front linkage. Snow plough is ensured by the spring mechanism that deflection entire board. Snowplough blades are made of high wear­resistant steel (Hardex 450) which is optionally replaceable. Hydraulic (vertical and side direction). is very suitable for maintaining family farms.